Executive Agreed Agreement was reached between various political parties about the establishment of a power-sharing Executive to govern Northern Ireland. William Whitelaw, then Secretary of State for Northern Ireland, appeared on the steps of Stormont (with tears in his eyes) following the final negotiations. The Executive was to consist of 11 members. 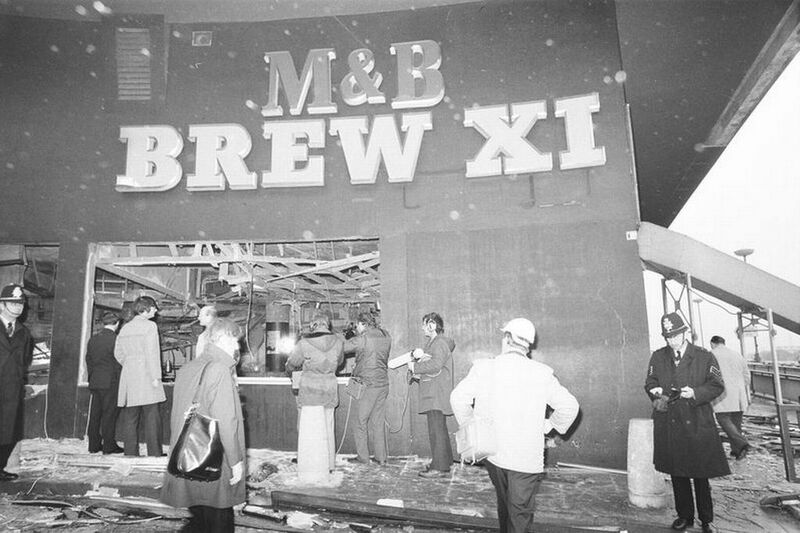 Birmingham Pub Bombs The Irish Republican Army (IRA) planted bombs in two public houses, the Mulberry Bush and the Tavern in the Town in Birmingham and killed a total of 21 civilians (two of whom died in the weeks following the explosions). A Protestant civilian was found shot dead in Belfast. It was not clear who was responsible for the killing. The Irish Republican Army (IRA) carried out a series of fire-bomb attacks on hotels in Northern Ireland and damaged five hotels. 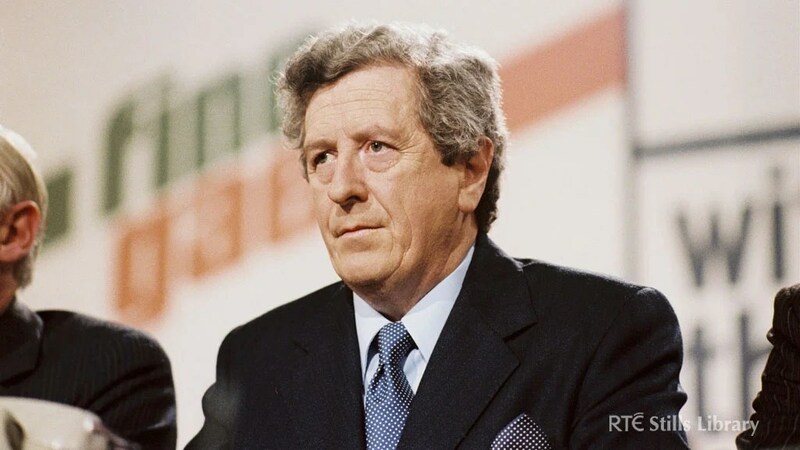 In the Republic of Ireland there was a vote in the Dáil on the Anglo-Irish Agreement (AIA). Although Fianna Fáil (FF) voted against the Agreement the motion was passed by 88 votes to 75. Charles Haughey, then leader of FF, said he would not oppose developments that were of benefit to Nationalists living in Northern Ireland. The Social Democratic and Labour Party (SDLP) held its annual conference in Newcastle, County Down. The delegates rejected Unionist calls for a suspension of the Anglo-Irish Agreement (AIA). The report of the British Attitudes Survey showed that, of those questioned, 60 per cent were in favour of the withdrawal of British troops from Northern Ireland, and 56 per cent were in favour of the reunification of Ireland. A rally in support of the Hume-Adams Initiative was held on the Falls Road in west Belfast. Approximately 2,000 attended the event. A small bomb, described as a “crude device”, exploded outside the courthouse in Omagh, County Tyrone. The Continuity Irish Republican Army (CIRA) left a bomb, which failed to explode, in Derry. For the first time in 28 years Linfield football club, considered a ‘Protestant club’, played at the ground of Cliftonville football club, considered a mainly ‘Catholic club’. Shot at his home, Sandhill Drive, Bloomfield, Belfast. Found shot in his car, Apsley Street, Donegall Pass, Belfast. Killed when bombs exploded almost simultaneously in two public houses, Mulberry Bush and Tavern in the Town, Birmingham, England. Injured when bombs exploded almost simultaneously in two public houses, Mulberry Bush and Tavern in the Town, Birmingham, England. He died 28 November 1974. Injured when bombs exploded almost simultaneously in two public houses, Mulberry Bush and Tavern in the Town, Birmingham, England. He died 10 December 1974. Killed by booby trap bomb hidden in abandoned rifle close to crashed car, Carrive, near Forkhill, County Armagh. German businessman. Shot outside his home, Gleneagle’s, Shantallow, Derry. Contractor to British Army (BA) / Royal Ulster Constabulary (RUC) . Shot while at security barrier, The Diamond, Castlederg, County Tyrone. Found shot, in entry off Rinmore Drive, Creggan, Derry. Alleged informer. I could have been killed too if I hadn’t been out drinking the night before, with Thomas Chaytor. I worked at Rackham’s and had popped into the Parisienne for a drink when he came up and started chatting. I didn’t know him very well but he asked if I’d go on his Stag do with him, ( it was a week to his wedding, his fiance worked at Rackham’s too ) there was only us two, so we made the best of it and had a few drinks, tho’ he didn’t get very drunk, he said he had to work at the Mulberry bush the following night and to pop in there for a drink. That was the last I saw of him. Thursday’s were always our late night, we all worked ’til 7pm and usually went out for drinks straight from work. That night I felt too tired after the Stag night with Tom, so went home instead of going to see him for a drink at the Mulberry bush. I heard what happened on the news a little later. Tried ringing but couldn’t get through. The following day I went to work and was in total shock when I heard about Tom and the Mulberry bush, he died days later. I’ve never in my life seen Birmingham so quiet. Thousands of people lining up for buses, milling around, but almost total silence. I haven’t spoken about it till now, if only these monsters realised just how much devastation they’ve really caused. May they rot in hell.